When I first started my own shoeing round in the mid-90’s back in Blighty, every one of my clients were obviously, new to me. I picked up quite a few clients who had been using farriers previously who they had labelled as “unreliable”. Some of the farriers who had been grouped into the “he doesn’t turn up” category by horse owners were exceptionally skilled farriers amongst the best craftsman in the area. So for me as a newbie, it was a gift at the time to be able to pick up clients with relative ease and to keep a percentage of these coming back simply by turning up on time and keeping the appointments we’d made. 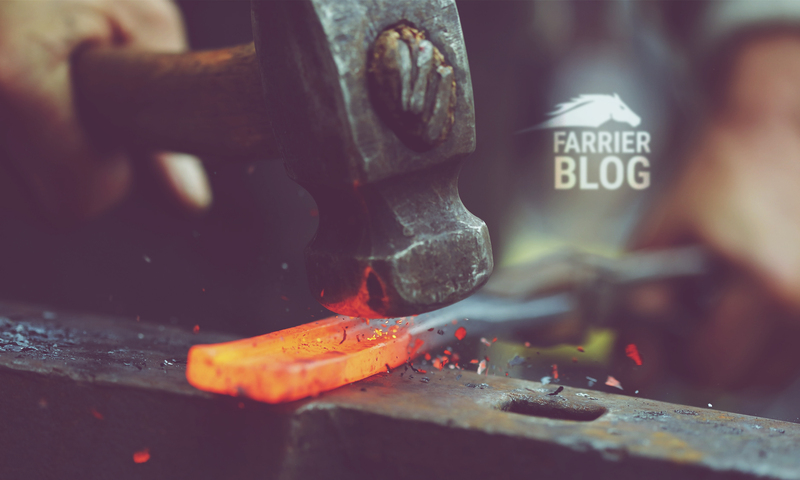 It was hard not to form an opinion in my mind about the unreliable farriers in the area and being a farrier working on his own, there’s often time in the day to churn things over in your mind. And day after day, I had new clients telling me about how their last guy made an appointment and turned up three days late, or didn’t show up at all or didn’t call her back. The opinion of horse owners was definitely hammered home. So I just deemed these other farriers to be poor time managers, perhaps a little disorganised, maybe careless and a bit daft (missing out on the work). I still think turning up on time and being reliable is the way forward for farriers. I’ve always thought being reliable must be much less stressful for farriers. The phone calls/phone messages and abuse from a large number of disgruntled clients must get to you if it happens every day. But looking back, I now see another angle. I was rushing around trying to look after clients and their horses, working all hours and sacrificing other things to try and do the right thing and build a good reputation. Some of the farriers labelled as unreliable were, as I’ve previously said, very highly skilled guys and looking back now, probably had a huge amount of work (possibly too much), could pick and choose their jobs and if a client went elsewhere, could replace it almost instantly with one of the daily phone calls from potential new clients. But it could be that they were aware of this and whilst doing plenty of work, they also knew when they’d had enough and to knock off early or take a day off. With a few years under their belt, they probably had realised that horse owners are sometimes not very appreciative and don’t hesitate to swap and change farriers when it suits them. So why should they (the farriers) put themselves out, miss a meal or family time for a horse owner? Every farrier has or has had, a certain percentage of clients who they’d be happy not to go back to for whatever reason. And possibly another group of clients they’re indifferent to and wouldn’t be upset if they lost them. Either of these types of clients must be easier not to turn up for and potentially lose. So, why not just call to say you’re running late or to say to the client we don’t want to do their horses? Any farrier who has told a client they don’t want to do their horses again might have experienced a barrage of verbal abuse. In my experience, however you do it, horse owners don’t like it when a farrier refuses to go back or say they don’t want the job. It could be a rejection thing, I don’t know. Honesty isn’t always the best approach when farriers want to dispose of a client. In a similar way to ending relationships of the heart, farriers who let the client think it’s their idea to get somebody else to do their horses in future might have an easier ride out of the relationship. A little unreliability here, a missed appointment there and the client might decide to go elsewhere so rather the farrier being a complete ratbag (or worse), he’s just a bit hopeless. The part you missed is the farrier to keen helpful that doesn’t want to let anyone down! How often do we farriers recieve phonecalls throughout the day with the old,I’m goin to a show tomorrow and he’s pulled a shoe,or my horse is sore I think it’s an abcess. Being a certain type of person that wants to keep everybody happy,we try to find time. Shove them into an already packed day and think,it’ll be ok. The abcess on arrival becomes a horse tender because he hasn’t been shod for so long,and the lost a shoe becomes I really need the set done! We do it to keep them happy,end up runing late for the day and eventual at some points,run out of light! We let people down by trying to hard to keep everyone happy,thinking everyone will understand why we are 2 hours late. No,99% of all clients have no concern for other horse owners and what’s going on,little do they remember they pulled the same maneuver 3 weeks earlier! I think we should look at the clients more! Normally it’s issues caused by owners!